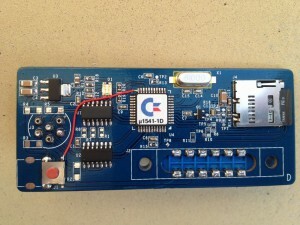 Scrolling through a local second hand site, I came across a guy who had made his own version of the SD2IEC device. The SD2IEC is a mass storage solution which uses a SD card for data storage (i.e. games and programs) and interfaces with the IEC bus. 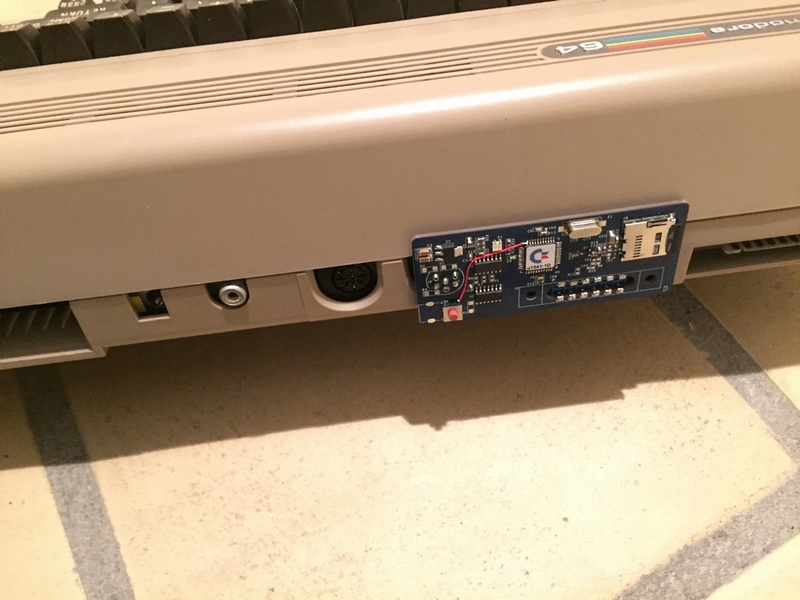 It does not emulate the diskette drives completely like the 1541 Ultimate II, but it reads quite a few .d64 and .prg files and it supports JiffyDOS natively! The developer do not sell them on Ebay, so this might be one of the very few copies out there. (However, it should be possible to reach him through this e-mail by removing the brackets). The device is called a μ1541 (u1541) and it has a disk swap button (red button on the bottom left), a couple of LEDs but no reset button. 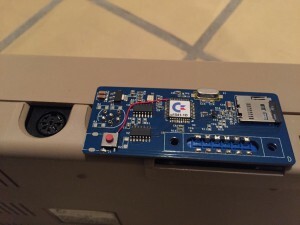 Games and programs can be saved to a micro SD card and all commands are the same as on all SD2IEC devices out there. What I like about his piece is that is is does not need a cable to the cassette port to get the 5V it needs to run. 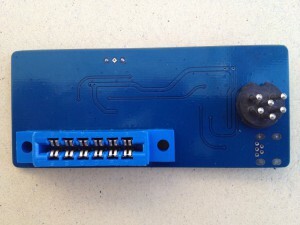 A Cassette plug is already soldered on to the PCB along with a serial plug for the IEC bus. 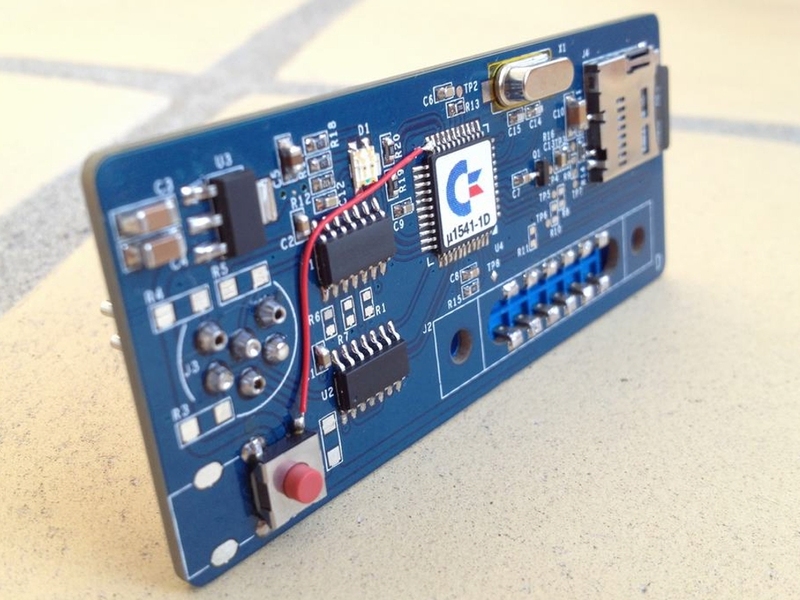 The entire PCB is simply pushed into both ports at the same time and the device is ready to use. 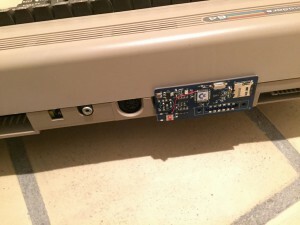 It will fit both the Commodore 64 and the Commdore 64C cases. The blue color is so sweet! When it is plugged in it does not stand out much from the case. Pretty tight fit! 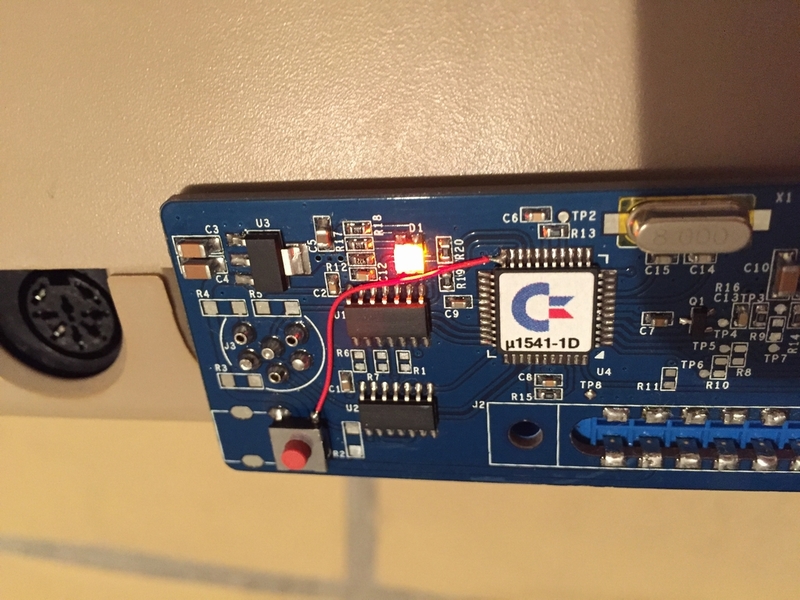 The device also has red and green LEDs to reassemble the diodes of the Commodore 1541 Diskette drive (disk load errors & disk activity). The biggest problem with the device is that it is really difficult the remove. Like insanely difficult! The plugs are so tight and not much room to get my chubby fingers wiggled between the device and the case to get them separated. I was sweating so hard when I removed the μ1541 from the breadbox I tested it on. Furthermore, in its current form it is a bit incomplete as it needs some kind of casing to make it more sturdy. The PCB would bend disturbingly before it would let go of the Breadbox. The current version may be more fit for an internal install than an external. 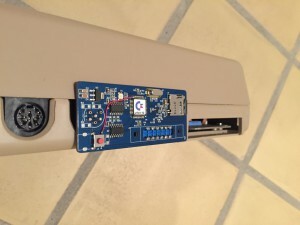 It will also be difficult to use an original Commodore 1541 Diskette drive along with this one as there is no apparent way of daisy chaining the devices without special cables and a dangling μ1541 device behind the machine. Nevertheless, I really hope that more work will be put into the device to make it more complete. I really like the slim design of the device compared to the bulky looks of the rest of the competition of SD2IEC devices out there. I bought a similar version from Poland a year or two ago from Ebay. 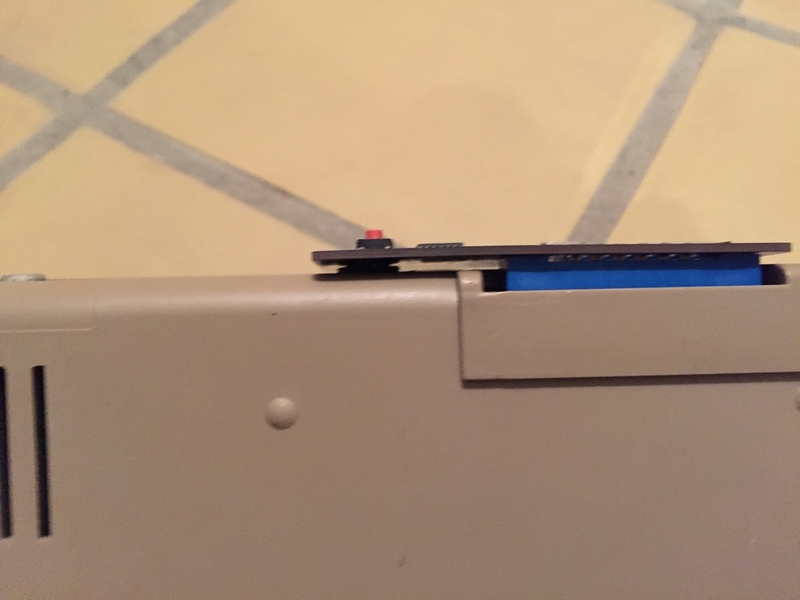 My version has a pass-through so that you can hook up a disk drive. 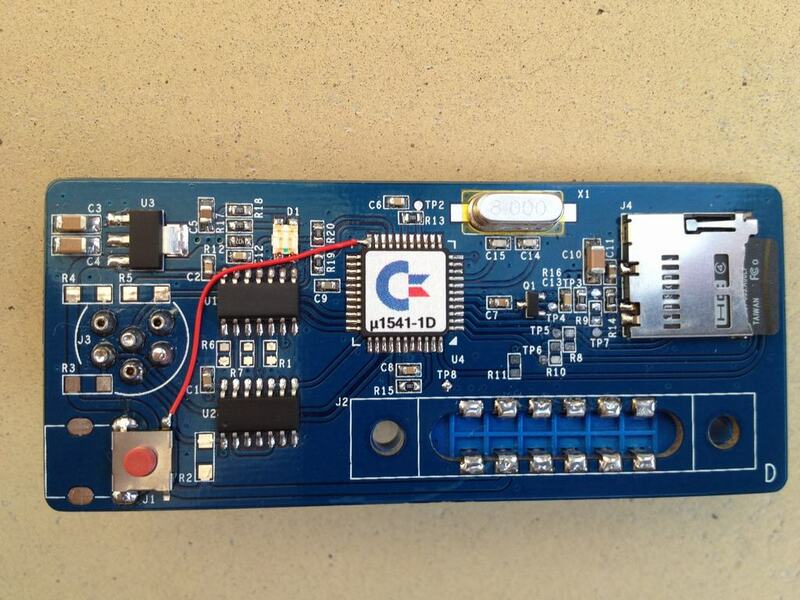 The seller was C64fanatic on ebay but it looks like at the moment he isn’t selling anything.. I agree on the difficulty of removing it again. If removing, treat it like removing a chip just gently alternating a side at a time. For my purposes though, there is almost no need to remove it again. Then it was just a matter of gluing a little wooden ring pull on the SD card so that could be removed easily. Thanks for the tip on removing the device. Nice reiteration of already existing models though. 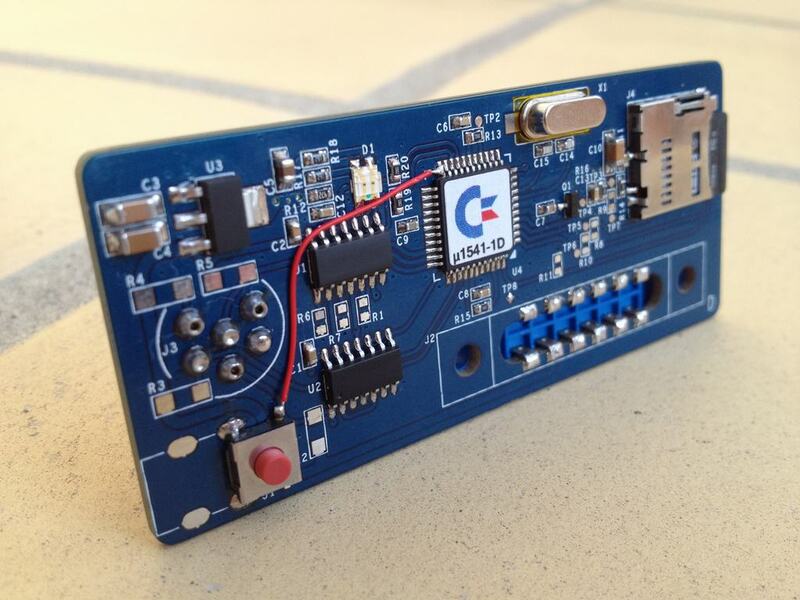 Sweet idea but this is not suitable for the C128 I think. Voltron: There’s a version for the c128 and c128D (and C16 btw).